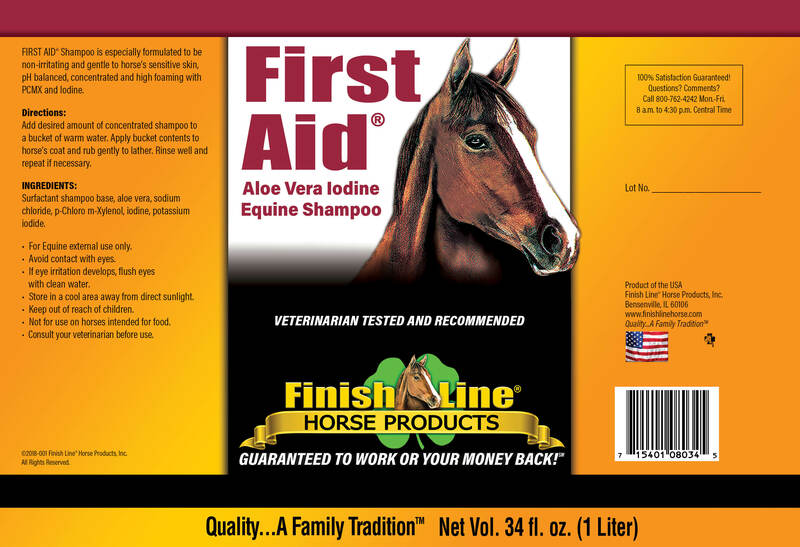 First Aid® Shampoo is an easy-to-use, concentrated, high foaming shampoo. 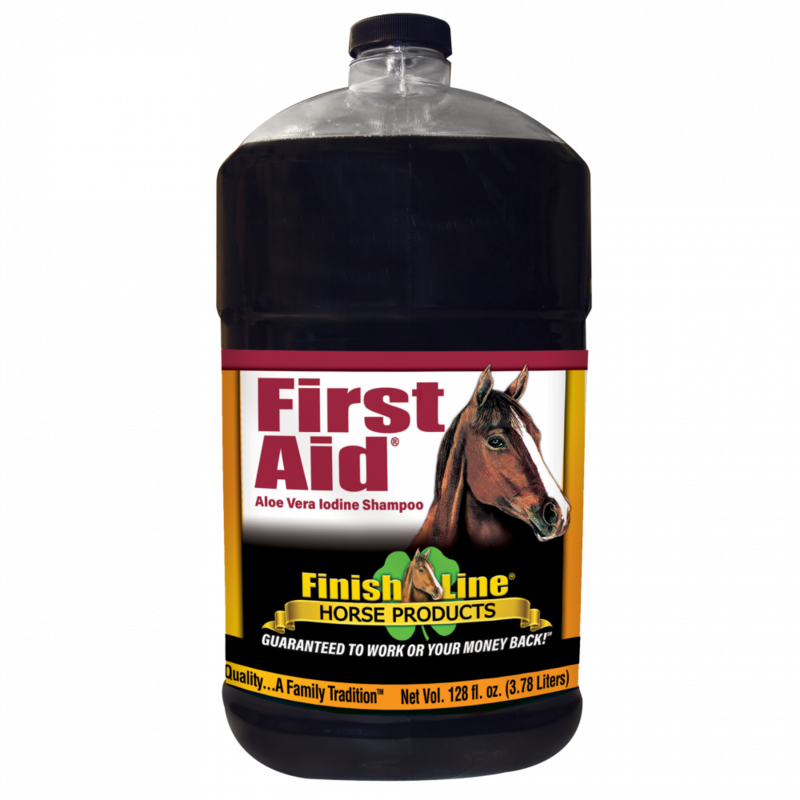 First Aid®’s ingredients include: Aloe Vera, p-Chloro-m-Xylenol, Iodine, and Potassium Iodide. 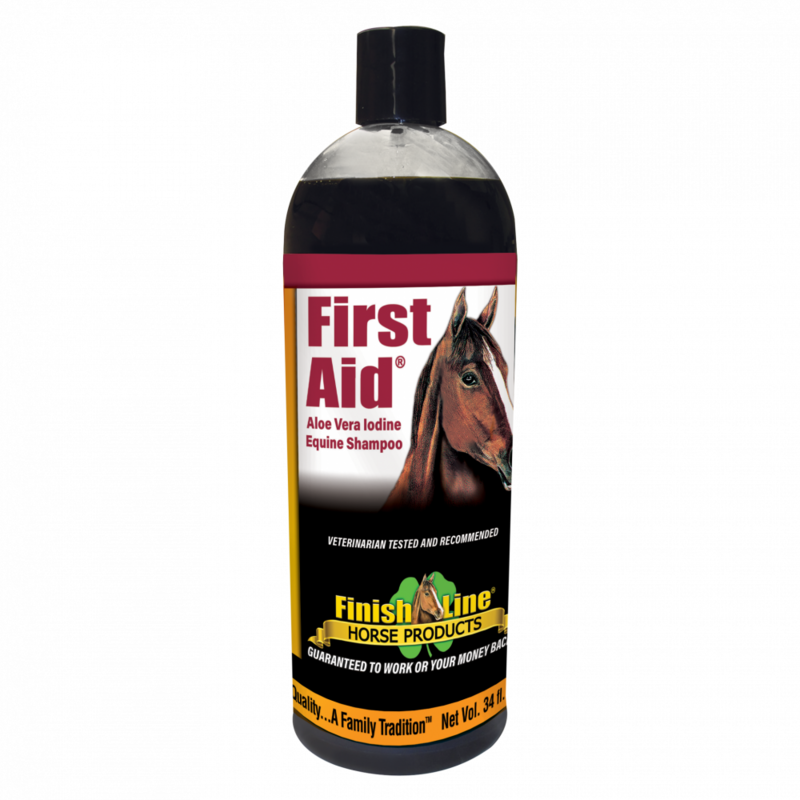 First Aid® helps promote healthy skin and leaves your horse’s coat soft and glossy. Gentle enough for everyday use. Fact: Aloe Vera has over 2,000 years of history promoting health. Iodine promotes healthy skin by resisting bacteria and fungi, as does the p-chloro-m-xylenol.